From the authors of The Whole-Brain Child and No-Drama Discipline, an indispensable guide to unlocking your child’s innate capacity for resilience, compassion, and creativity. The Yes Brain is an essential tool for nurturing positive potential and keeping your child’s inner spark glowing and growing strong. “I have never read a better, clearer explanation of the impact parenting can have on a child’s brain and personality.”—Michael Thompson, Ph.D.
Daniel J. Siegel, M.D., is clinical professor of psychiatry at the UCLA School of Medicine, the founding co-director of the UCLA Mindful Awareness Research Center, and executive director of the Mindsight Institute. A graduate of Harvard Medical School, Dr. Siegel is the author of several books, including the New York Times bestsellers Brainstorm, Mind, and, with Tina Payne Bryson, The Whole-Brain Child and No-Drama Discipline. He is also the author of the bestsellers Mindsight and, with Mary Hartzell, Parenting from the Inside Out. He lives in Los Angeles with his wife, with welcome visits from their adult son and daughter. 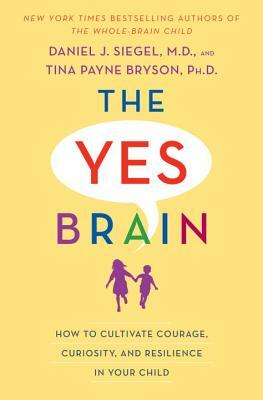 Tina Payne Bryson, Ph.D., is the co-author, with Daniel J. Siegel, of two New York Times bestsellers, The Whole-Brain Child and No-Drama Discipline. She is the founder and executive director of the Center for Connection, an interdisciplinary clinical team in Pasadena, California. She is a licensed clinical social worker, providing pediatric and adolescent psychotherapy and parenting consultations. As well, she keynotes conferences and conducts workshops for parents, educators, and clinicians all over the world. Dr. Bryson earned her Ph.D. from the University of Southern California and lives in Los Angeles with her husband and three children.